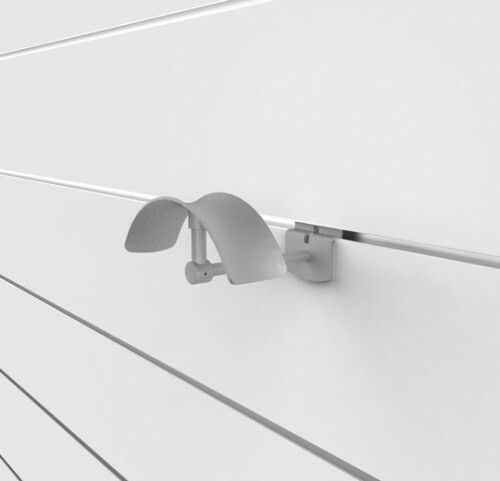 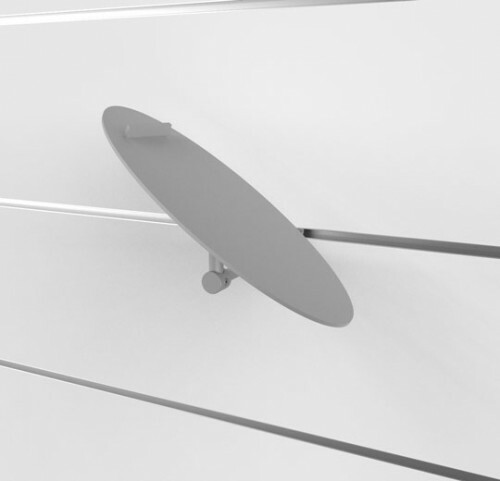 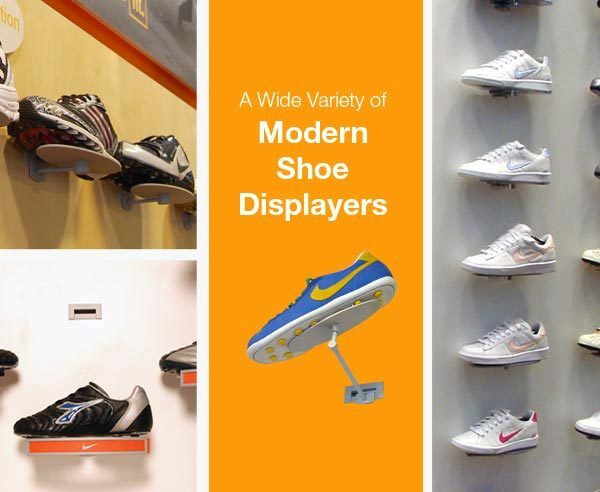 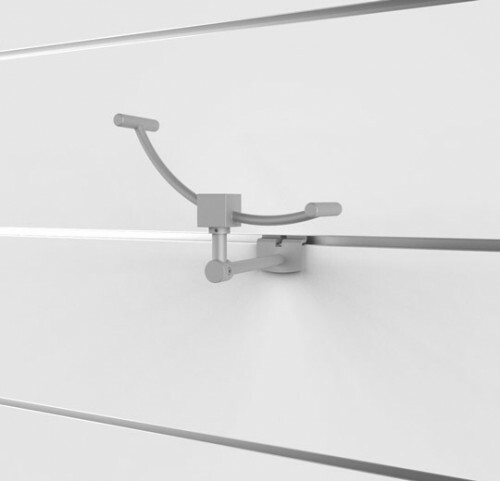 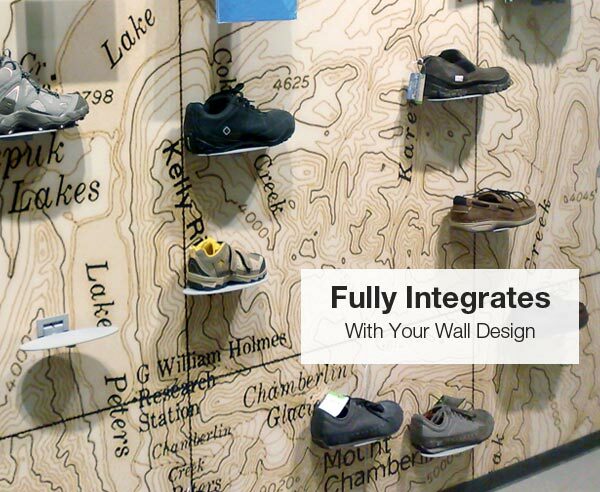 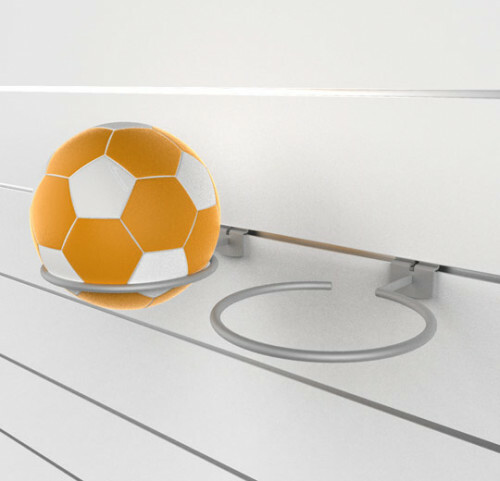 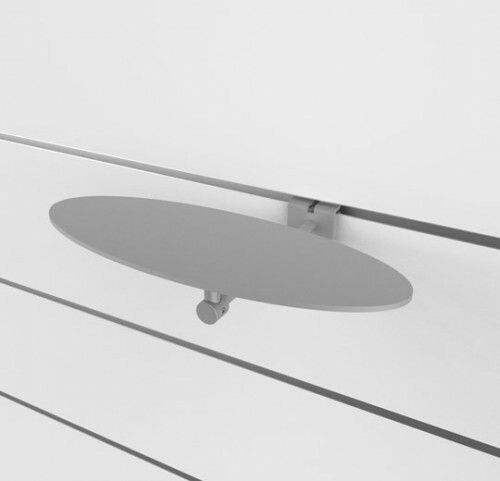 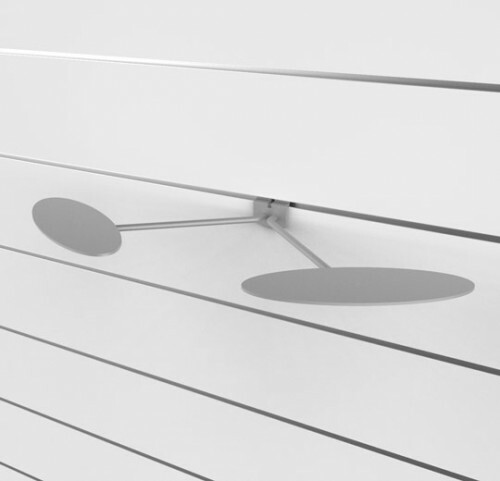 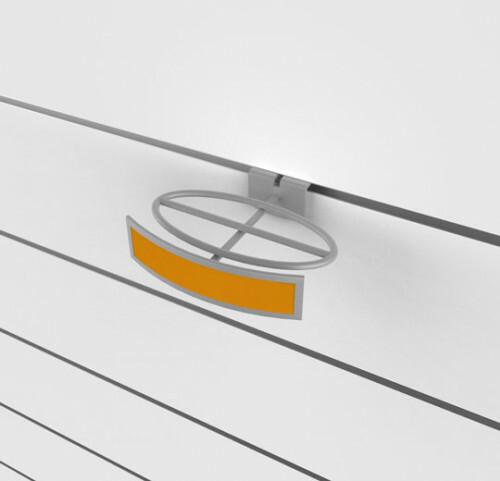 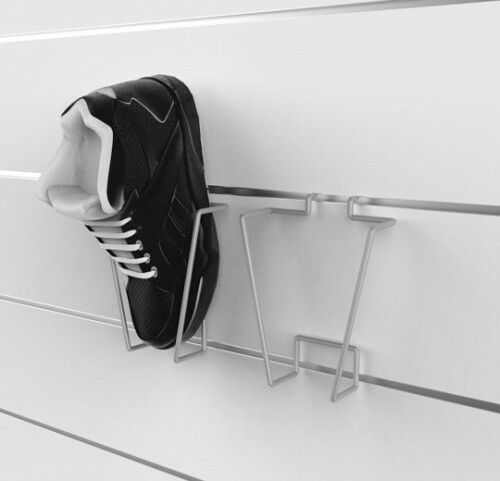 SoloSlat offers maximum design flexibility – this fixture can be positioned in any setting of your choice, and is ideal for shoe walls where visual impression is essential. 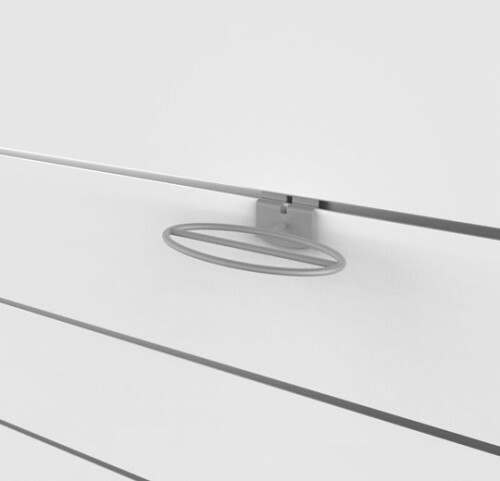 For Panel Thickness: Up to 7/16"
For Panel Thickness: 7/16 - 7/8"
For Drywall Thickness: 1/2" - 5/8"
Panel Thickness: Up to 3/8"
Need assistance in planning and installation? 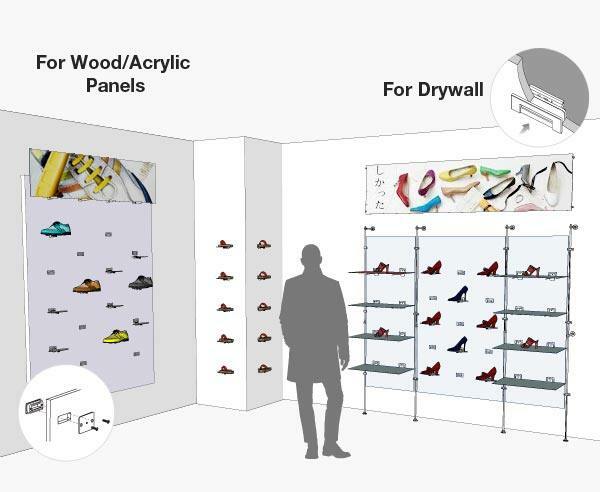 Contact our regional service providers - all have the necessary knowledge and expertise to assist you in designing & planning your space using SoloSlat. 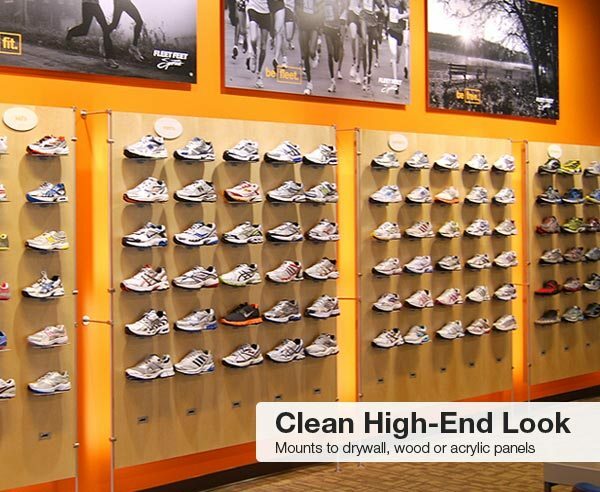 For Sign Size: 9-3/4" x 1-3/16"
For Sign Size: 5" x 1-3/16"
For Sign Size: Up to 17" x 11" x 3/16"